The Tanabata festival will take place during Nisei Week on August 14-16. The Tanabata Festival also known as the star Festival is held all over Japan as well as in Brazil. Each Tanabata is different and was made from people and organizations around Little Tokyo. The Opening Ceremony will be August 14th @ 5pm on Central Avenue @ the Japanese American National Musuem and Museum of Contempoary Art. There will be booths with arts, crafts and food and entertainment. The Tanabata will be on display until August 17th. Here is some brief background on the Tanabata Festival as taken from jhills.com. 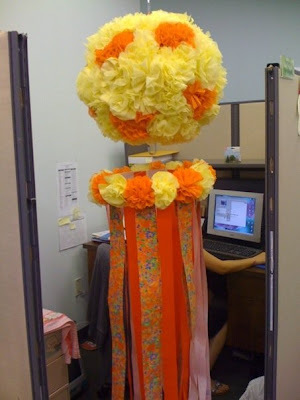 "What is the Tanabata Festival? The festival celebrates the once-a-year meeting of star lovers, the Ox Herder and the Weaver Princess, who are separate by the Milky Way during the other 364 days of the year. Although held in several cities throughout Japan, the largest Tanabata Festival has been held in Sendai City in Miyagi Prefecture since 1946, although it was celebrated in much smaller scale since the 1600s. In Japan, the festival is celebrated mainly along streets and inside shopping malls, which are decorated with large, colorful streamers (“kazari”) suspended by cables and rope. People celebrate by writing wishes on small strips of paper (“tanzaku”) and hanging them from decorated bamboo poles that are always nearby."